This badge was issued to Budi Prayitno on 01 Dec 2017. 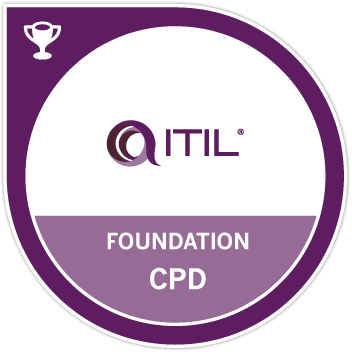 ITIL® Foundation CPD demonstrates this individual has maintained and improved their skills and abilities in relation to their ITIL® Foundation qualification. They have committed to remain current and relevant within the service management industry, and strengthen their knowledge of the structure and core principles of ITIL® practices for service management. The skills gained reflect an application of knowledge in a professional capacity and learning suited to their development needs. Complete 5 points out of the required 20 in the practical application of ITIL® Foundation knowledge and skills within your professional capacity, either through professional practice or coaching and mentoring.